China Mobile’s official website is advertising iPhone 5s pre-order sales beginning from this Thursday. A few days back China Mobile and Apple closed a deal to bring the iPhone to China’s largest mobile network – a network which could bring some 24 million iPhone sales in 2014 for Apple! China Mobile’s new 4G services will go live on December 18 while the iPhone preorders start on December 12, this Thursday, reported Wall Street Journal. China Mobile has confirmed to the WSJ that it indeed will start the China Mobile iPhone preorders this Thursday officially. 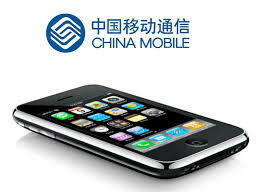 This China Mobile and Apple deal will prove to be more valuable for Cupertino company than China Mobile. With its 759.3 million users, China Mobile iPhone preorders is just a start of massive sales for Apple. 23 percent of China Mobile consumers are on 3G and with a small portion interested in 4G. However, analysts predict that sales in next year will begin at 10 million extending to nearly 40 million. “A quick test to preorder an iPhone 5S didn’t work Monday. A phone call to a China Mobile customer representative confirmed that customers can preorder iPhones from the site starting Thursday.” – The Wall Street Journal. China Mobile is also revealing its 4G network to its global partners in Guangzhou covering Beijing, Shanghai, Guangzhou, Tianjian, Shenzen, and Nanjing in an event on December 18. This will all happen before the year ends, with further expansion expected in 2014. China Mobile iPhone preorders with 4G official announcement – link.